You can drive without seats and with poor tires, but you cannot drive without a transmission. 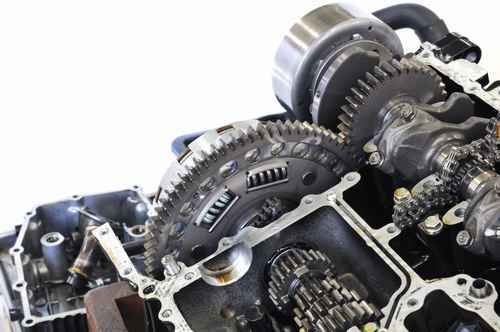 When complex repairs are needed, mechanics are known to install rebuilt transmissions. Consider this option if you find major problems with this part of the car. You want to save money on a transmission repair. Maybe you are considering a used transmission instead of a rebuilt one. This option seems reasonable, but you could end up replacing this system soon after it is installed. You may not know the current value and condition of this used part or if it even matches your car model. Instead of a used transmission, you may think it is better to install a new one. However, buying any part straight from the manufacturer is expensive and rarely done in regards to transmissions. You save more by investing in rebuilt transmissions. You may automatically think that rebuilding a car transmission is expensive. The initial cost of the vehicle was expensive and so you are expecting a very high repair bill. There are ways to estimate the cost of a rebuild. Use as much description as possible when speaking with the mechanic. Tell the mechanic everything about what is going on with the car, from the shakes to the unusual noises. In some cases, he may be able to make a diagnosis right away. In other cases, he may require a more thorough evaluation of your car. A diagnostic test is carried out when more information is needed. It seems long and expensive, but it is actually not and allows the mechanic to make a more thorough evaluation. If the test does not work, the mechanic may choose more drastic measures, such as removing the whole transmission. If that happens, the cost will go into the hundred-dollar range. Transmissions are usually expensive, so you should expect to pay a lot for quality work. You shouldn’t use just anyone to repair your car transmission. Sure, finding some amateur down the street is one option, but you could end up causing more damage than you began with. Repairing a transmission is not easy. It is a specialty skill within automotive repair. A professional needs specialized skills and equipment to make the fix in a reasonable amount of time and for a reasonable cost. When you work with a specialist, you can rest assured that you are having quality work done. You have recognized the signs of a transmission problem. Now, you must evaluate all of your options carefully. Rebuilding a transmission is the best way to repair it instead of buying one new or used. Find a repair company that specializes in doing rebuilt transmissions in Minneapolis.